Check out Balata‘s debut mini-album, We Are All Terrorists (out now on HCBrecords). I truly think it’s one of the best things that D. Opp and myself ever recorded! (Click on the image to get this release). This coming weekend, Saturday (April 9th), Lietterschpich is going to perform live at Sonic Protest festival, in Paris. There are already some great videos from Sonic Protest 2011, which started last Saturday (April 2nd). Check out their youtube channel to view them (they publish a new one every day). 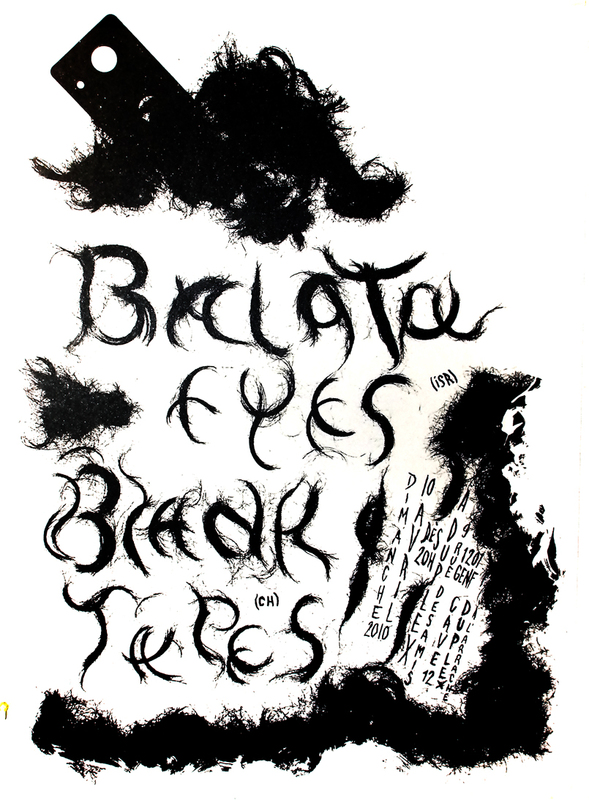 On Sunday (April 10th) Balata, Cadaver Eyes and Lil’ Oo will play a live improv set in Geneva’s Cave 12, under the name BALATAeyes. We’ll play alongside our hosts, Blanktapes, who were recently here on the Zimmer’s latest Tapes fest.